South Africa’s increasing interest in Palestine and its woes is beginning to manifest in ways that’s likely to attract more antagonism from Israel and her lobbyists. Currently a number of South Africans are in Israel to gain first-hand insight of conditions faced by Palestinians under Occupation as well as experience the political and humanitarian situation there. Delegates include Prof Barney Pityana, Adv Vusi Pikoli, MPL Mbala Ntuli, Adv Adila Hassim, Prof Firoz Cachalia, Dr Christi van der Westhuizen and Brad Brockman. In a statement issued by the joint organizers of the trip, the Heinrich Boll Foundation Southern Africa [HBF] and Open Shuhada Street [OSS], they undertake that the delegates will meet and interact with both Israeli and Palestinian civil society “working to end the conflict and advance human rights and social justice, as well as political representatives…”. Among other activities, the group will visit and observe military court proceedings in the West Bank, visit the Jordan valley to understand the politics of water and its impact on Palestinian farmers. As they wrap up their fact finding mission, we at Media Review Network, are keenly anticipating a thorough and detailed report back. We hope that the quality of their findings will unleash greater momentum within South Africa to fulfill aspirations and desires of Palestinians to gain freedom, dignity and justice. We are well aware that the mission will in all likelihood draw the ire and fire of a deeply wounded pro-Israel lobby in South Africa. Their hostile reaction to any critique of Israel’s apartheid policies is by now predictable. It’s a phenomenon closely associated with blind support, which lately has over spilled in hate campaigns as is evident in the insulting treatment meted to Archbishop Desmond Tutu. Cachalia, Pityana and colleagues must brace themselves for a barrage of attacks from the Israeli lobby corner, some of whom have already resorted to demonizing via twitter and Facebook. Its ugly and undignified, yet synonymous with the type of “hasbarah” (propaganda) Israel expects its army of defenders to undertake. The visit nevertheless raises expectations within South African civil society as to whether the findings will propel the Zuma administration to review its foreign policy on Israel. For instance the skewed approach of so-called “even handedness” is an unfair disadvantage to Palestinians as an Occupied people as against the unlimited advantage enjoyed by Israel in every sphere of economic, social, cultural, military and political link resulting from full diplomatic relations. That racist profiling informed by Islamophobia gave the group a taste of Israel’s apartheid as soon as they arrived there, with the detention of Section27’s Advocate Adila Hassim – albeit for three hours of interrogation, raises the hope that Pityana and his colleagues will not spare the Zionist regime. - Iqbal Jassat is the Executive of Media Review Network, Johannesburg. He contributed this article to PalestineChronicle.com. The Qatari capital Doha is slated to host on Wednesday evening the three-day "first humanitarian forum to support Palestinians." The forum, to be held by Qatar Charity under the slogan "Palestine, we are all with you," will be attended by a galaxy of humanitarian figures from several international, regional and local organizations. The participants will explore avenues of cooperation and develop mechanisms to help the Palestinian people at home and abroad. 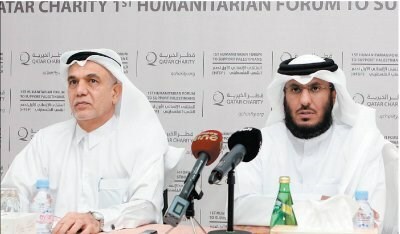 Head of Qatar Charity office in Gaza Ibrahim Zainal told Quds Press that the forum is aimed at highlighting the humanitarian needs of the Palestinian people, developing a common vision to determine the priorities of the humanitarian work in occupied Palestine, and strengthening and activating the relations with other humanitarian and development organizations and institutions. "Our direct goal from this annual meeting is to help the Palestinian people apart from any political considerations, and our way to achieve that is to network with all representatives of the Palestinian people in the West Bank, Gaza, Jerusalem and diaspora," Zainal added. MP Jamal Al-Khudari, head of the popular committee against the siege, called on the Palestinians from all spectra to join forces with each other to confront Israel's violations in the occupied city of Jerusalem. In a press release on Saturday, Khudari said that Israel's persistence in violating the sanctity of the Aqsa Mosque and targeting the Palestinian natives of Jerusalem are grave violations that need to be ended. The lawmaker accused Israel of using systematic mass punishment and aggression against the Palestinian natives in Jerusalem, and working on Judaizing their city, expelling them from it and seizing their property as part of a scheme to obliterate the Palestinian presence in the holy city. He added that Israel also works day and night to eliminate any possibility for the Palestinians to have Jerusalem as a capital for their state through forcibly imposing further faits accomplis on the ground and expanding its control over the city. Khudari stressed that the occupied territories can never enjoy security and stability without recognizing the legitimate rights of the Palestinian people, withdrawing from their lands, especially Jerusalem, removing all settlements and establishing their independent state. Udwan spoke out against Hamdallah’s procrastination vis-à-vis Gaza’s salary crisis and the rebuilding of what had been destroyed by the latest Israeli offensive on the Strip. Hamdallah and his substandard government, who were all well received in Gaza, misled Gazans into believing that all the outstanding crises will be soon brought to a standstill. But none of those promises has really seen the day. 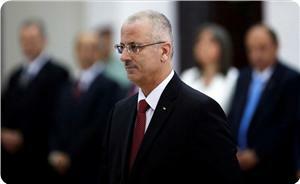 The Hamdallah team descended Gaza into more chaos, he further charged. “Gazans’ wounds and pains, deep as they have always been, grew more tragic as Gaza’s homes have been turned into rubble; as civilian families have gone homeless; and as the notorious blockade has grown tougher,” the PLC representative maintained. He further raised alarm bells over the quasi-permanent closure of border-crossings, the power crisis, and the lack of basic facilities. Udwan called on the consensus government to either step down or leave once and for all after Gaza’s state of affairs has gone from bad to worse. 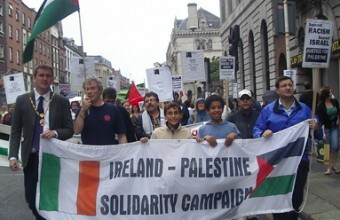 The Ireland-Palestine Solidarity Campaign congratulated, today, Seanad Éireann on passing a motion calling on the Irish Government to formally recognize the State of Palestine. The motion, which was tabled by Sen. Averil Power and supported by Senators from all parties, as well as independents, was passed this afternoon without a vote, according to the PNN. The Minister for Foreign Affairs and Trade, Mr. Charlie Flanagan TD, will come before the Seanad in November, to further discuss the issue. 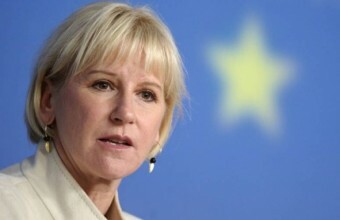 IPSC Spokesperson Freda Hughes announced: "We welcome this move on behalf of Seanad Eireann which follows similar recent votes in the British and Swedish parliaments. "This is an important expression of support for Palestinian statehood and peace in the region in a highly symbolic, yet extremely effective, manner." Ms. Hughes continued, "We hope this motion will increase support for a similar vote in Dáil Éireann in the near future. International recognition of the State of Palestine is an important symbolic gesture that will increase diplomatic pressure on Israel to end the occupation." In conclusion, Ms. Hughes stated that "While symbolic actions such as this recognition are important and welcome, they are not a substitute for concrete and meaningful action. The IPSC continues to urge the Irish government to impose political and economic sanctions on Israel until it ends its occupation of Palestine and abides fully by its obligations under international law." Al-Jazeera Centre for Studies (AJCS) and the Palestinian Return Centre (PRC) declared intention to host a joint conference in London under the title of “The International Conference on the Impact of the World War 1 (WWI) on Palestine” on the 8th and 9th of November 2014. The conference will examine the impact of the WWI on Palestine with special interests on the role of the Ottoman Empire and the Zionist Movement. It will examine the political position of the Palestinians and the Arabs in general following the Sykes-Picot Agreement. 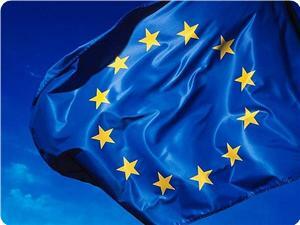 It will also discuss in-depth the British Mandate and the San Remo Conference. 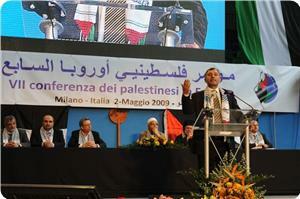 The conference will also discuss the emergence of a national Palestinian movement in the 1930’s. Last but not least, the conference will address the effects of the laissez faire attitude of the international community towards Israel after the end of WWII. For his part, chairman of the Palestinian Return Centre, Majid Al Zeer, stated that the conference will also tackle the current status quo in Palestine as well as the future. 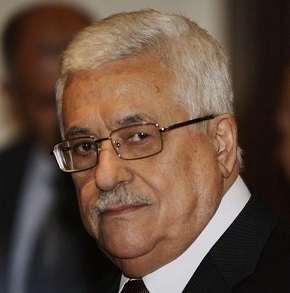 “The two-day conference will for certainly reveal the role of Europe in creating the Palestinian problem and the failure to solve it,” added Al Zeer. Several renowned academics and historians from Britain and the Middle East are invited to address the conference. “The steadfastness showcased by Gaza is a victory. 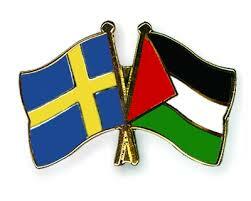 It sent a message to the world that there is something called the “Palestinian cause” . . . that the occupation must be brought to an end, that the settlements’ expansions must stop, and that the blockade on Gaza must be lifted,” he maintained. “The tunnels were one of our innovations. The Israeli army is stronger than us. It possesses a great destructive power. It has airplanes, artillery. It possesses the strongest weapons arsenal in the region. Therefore, what Hamas and other resistance factions are doing in Gaza, with the full support of our people, is just an attempt to ensure the necessary means to protect our people,” he further stated. “When Israelis declared war on Gaza, they did not declare the tunnels as part of the military targets. But when they discovered the tunnels, this is when they started to raise the issue. This proves that they first started the war, and then looked for justifications,” Mishaal added. “The resistance in Palestine is engaged in resistance against the occupation army and the settlers, those who live on unlawful land in the West Bank. This is occupied land by virtue of international law, and even by American law. 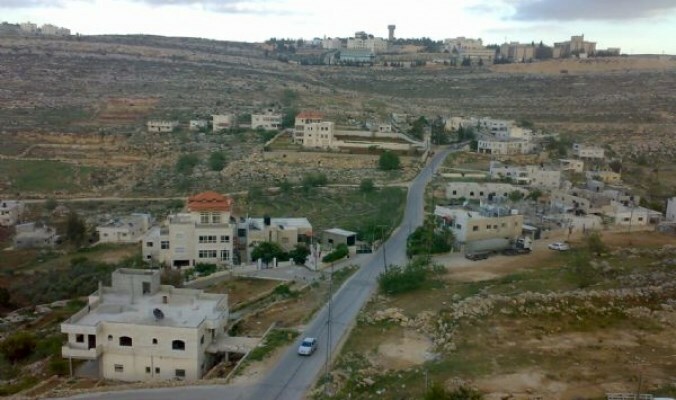 The presence of the Israeli army and the settlers on this land is therefore illegitimate,” he said. As for the ceasefire, Hamas leader said the initiative was built on the principle that all hostilities must first come to an end, and then negotiations can begin. Such terms were essentially based on lifting the blockade, reopening the border crossings, and giving the people normal living circumstances. “Those who must be held accountable for the killing of Palestinian children and women are the Israeli leaders,” he charged. 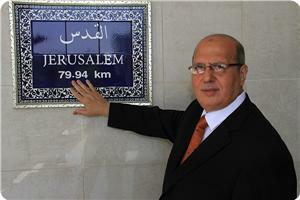 “Hamas’s position and its principles are clear. We do not seek to kill Jews or any other people of any faith, nationality, or race. We are only engaged in resistance against those who occupy our land, regardless of their religious beliefs or race. We do not kill Israelis because they are Jews. We kill them because they are occupiers. . . This falls in the context of self-defense and defending our land. 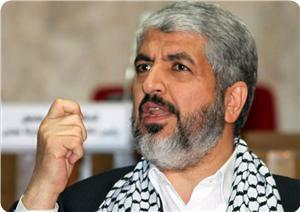 This is a legitimate right recognized by all religions and by international laws,” Mishaal proceeded. “Mohammed Deif is alive. The Israelis failed to kill him. But they succeeded in killing his wife and his two children. Mohammed Deif is still alive, and will continue to fight the Israeli aggression and occupation inshallah,’’ Mishaal vowed.